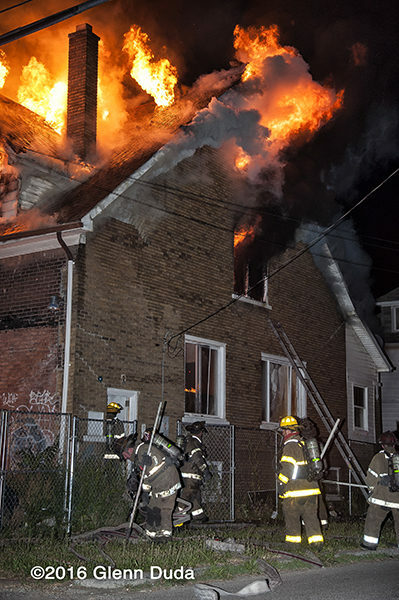 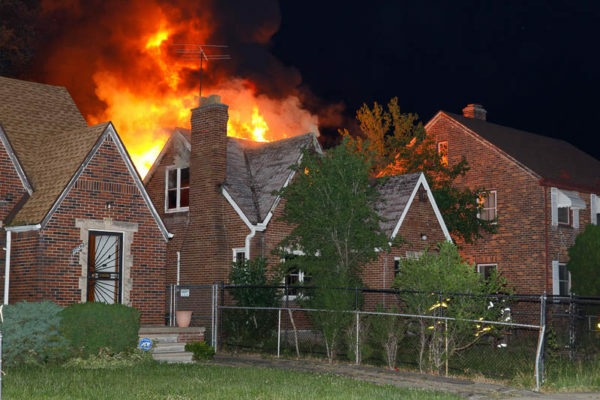 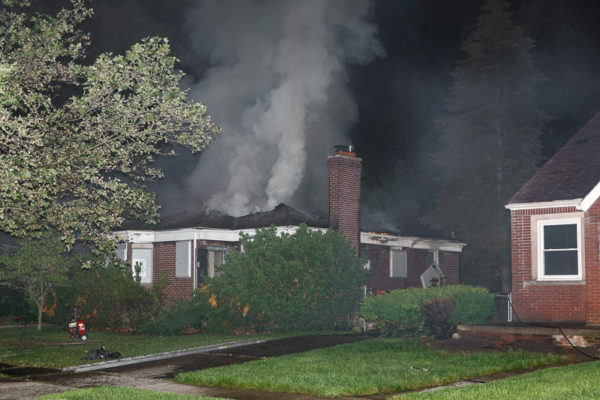 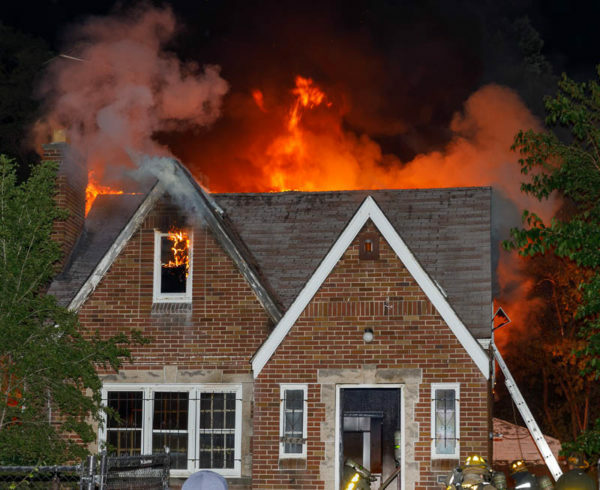 07/05/16 Detroit, MI – Several firefighters narrowly escaped being seriously injured after a wall collapsed on this vacant dwelling going throughout. 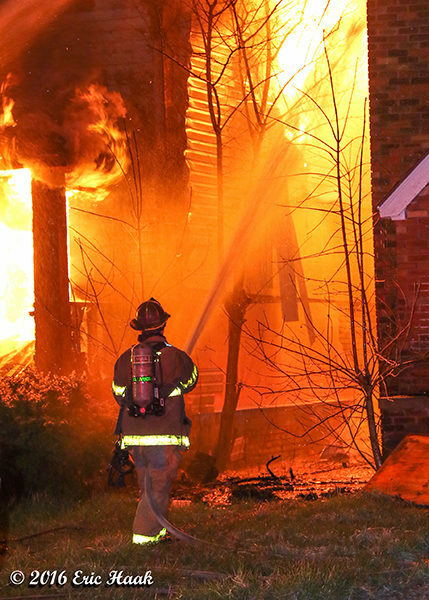 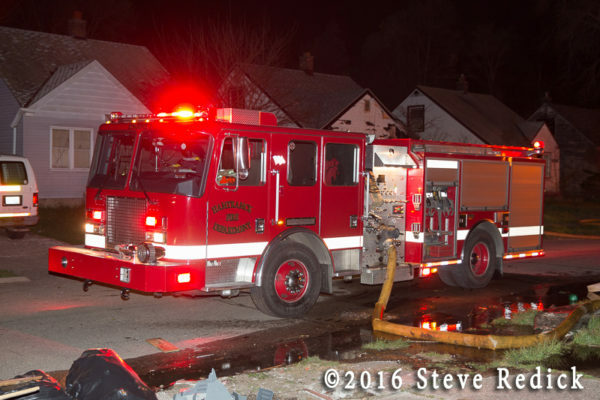 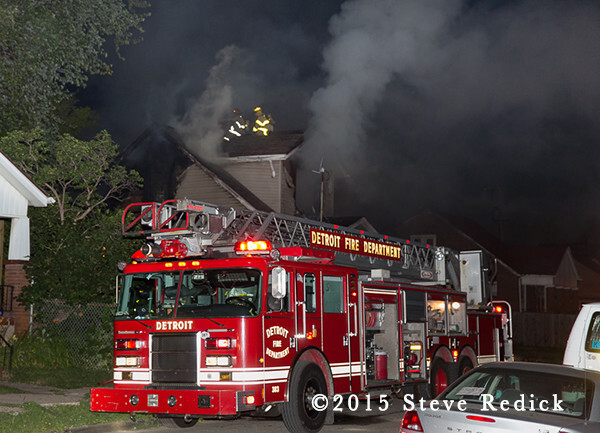 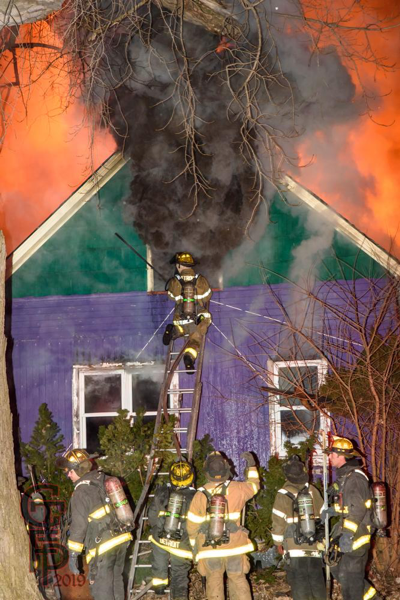 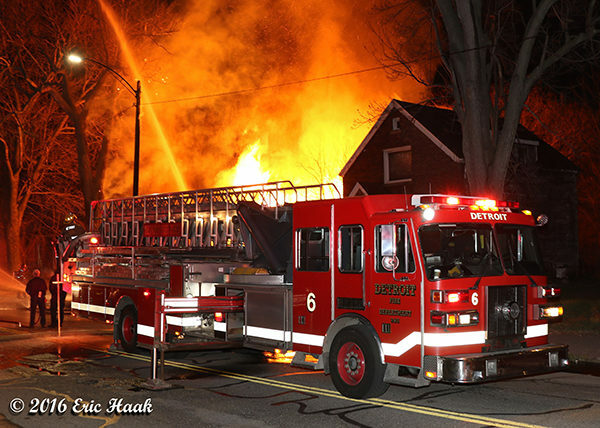 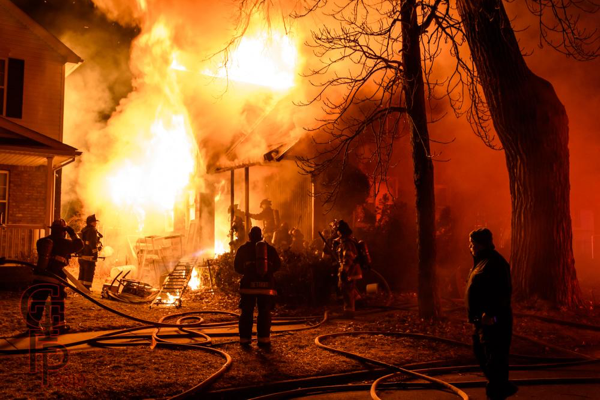 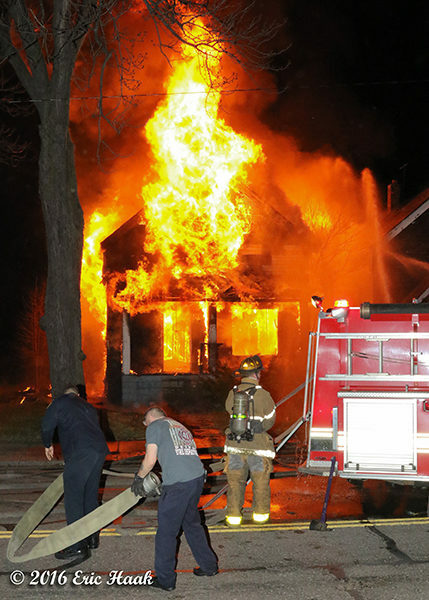 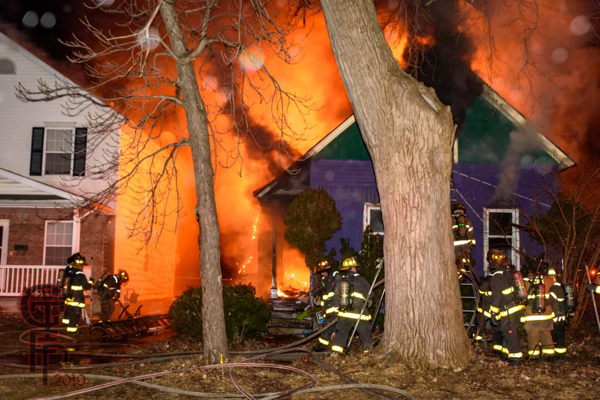 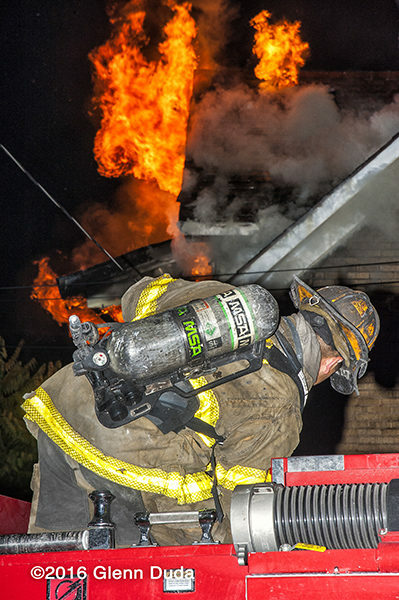 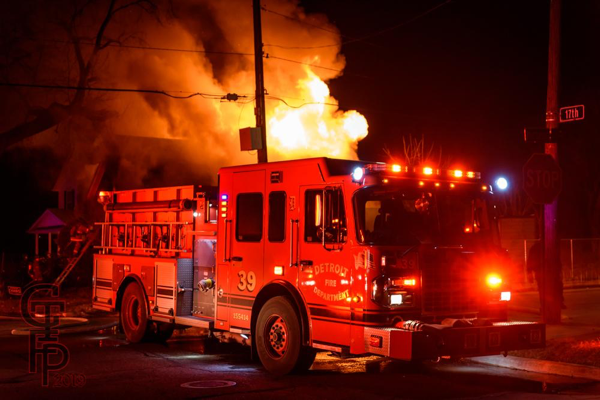 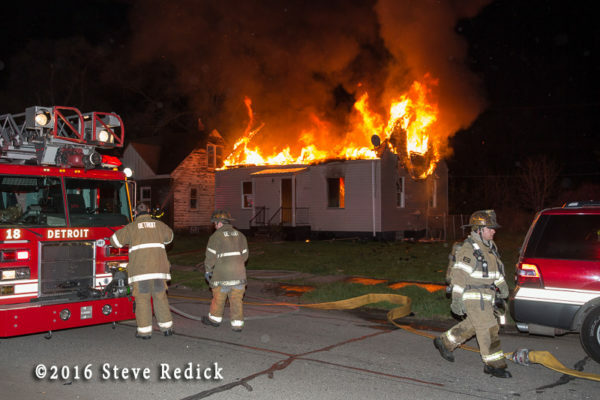 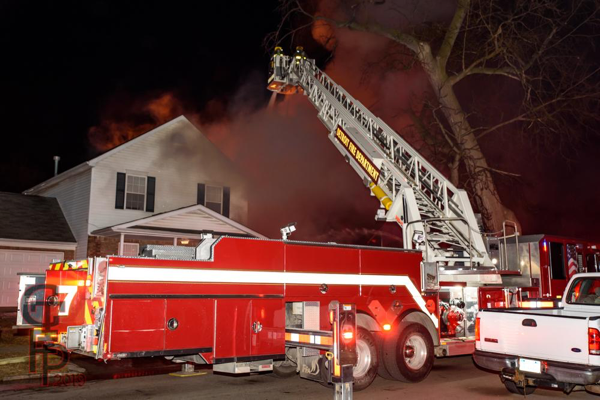 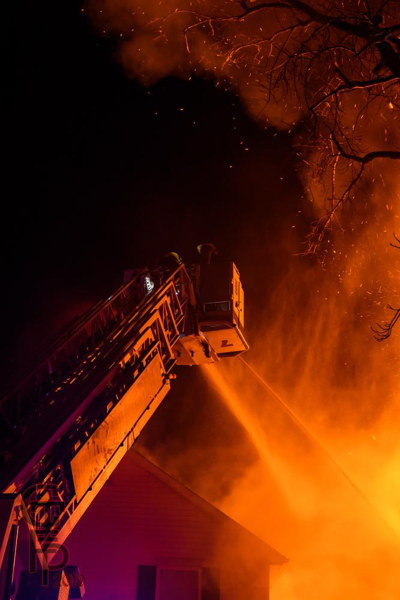 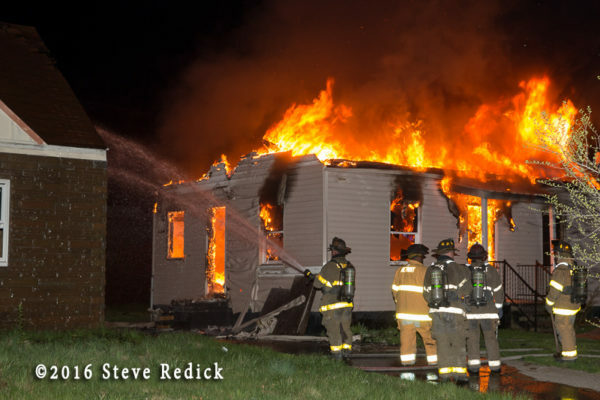 Here are some images of the Detroit Fire Department working a dwelling going throughout on the evening of April 16, 2016. 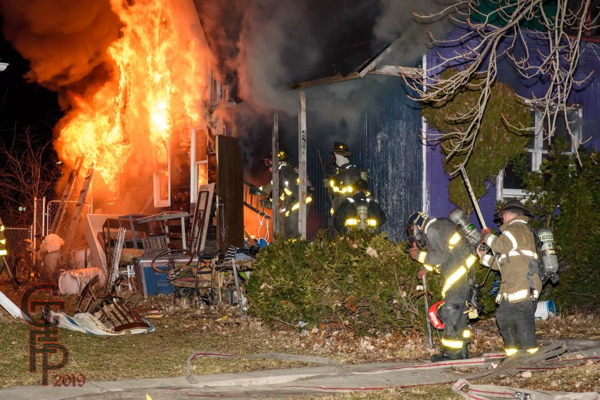 The address was 5071 Cadillac Ave and the call came in at 9:23. 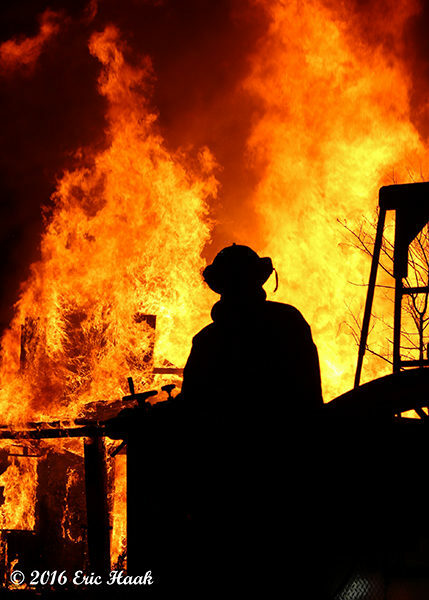 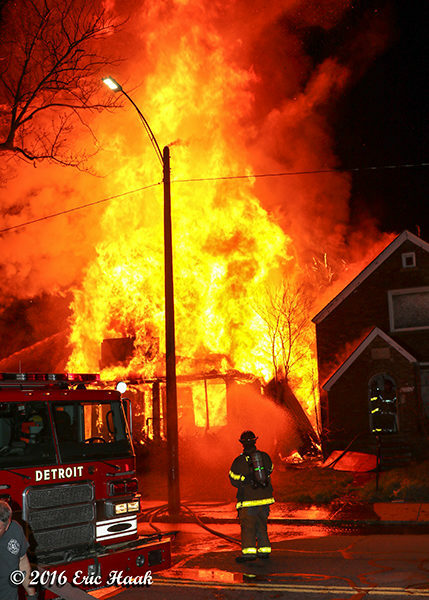 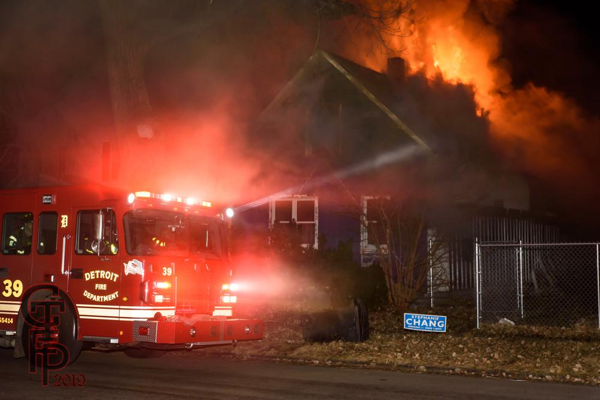 Last night while prowling Detroit we discovered a rapidly spreading fire that destroyed two dwellings. 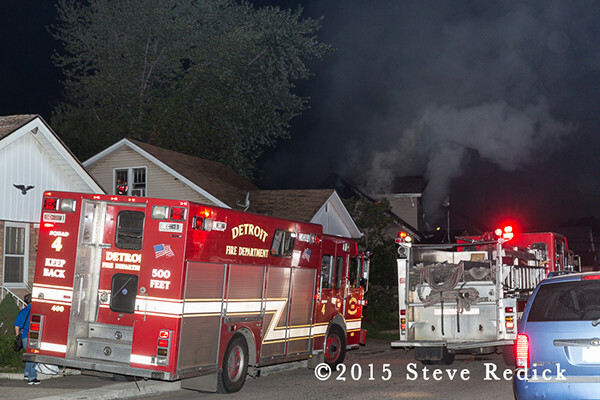 After reporting the fire we were able to observe the Detroit FD operations. 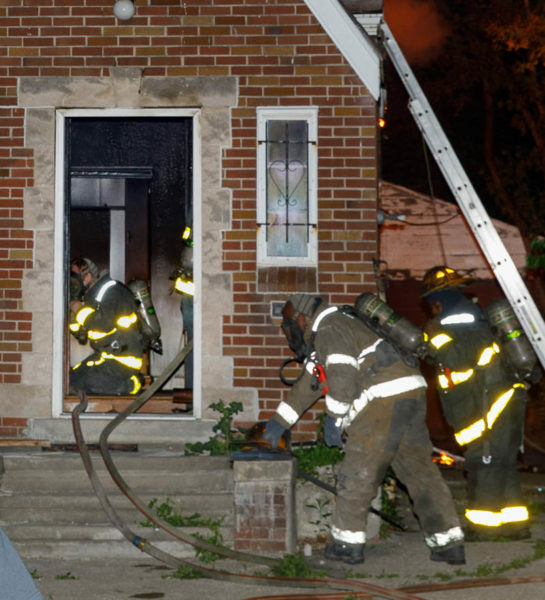 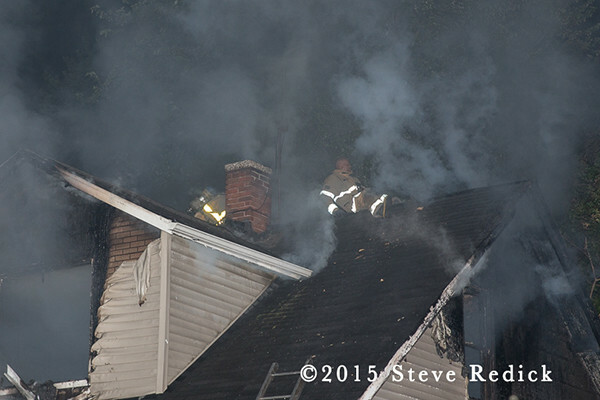 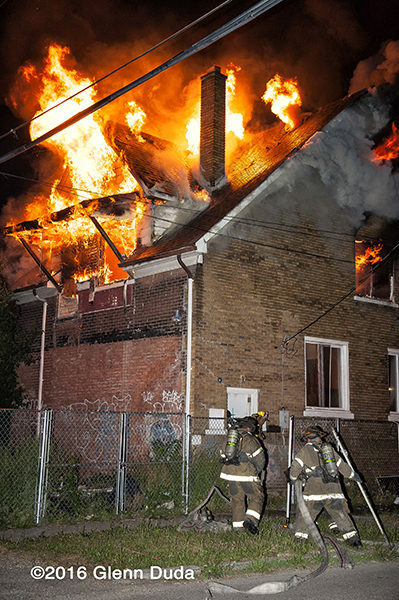 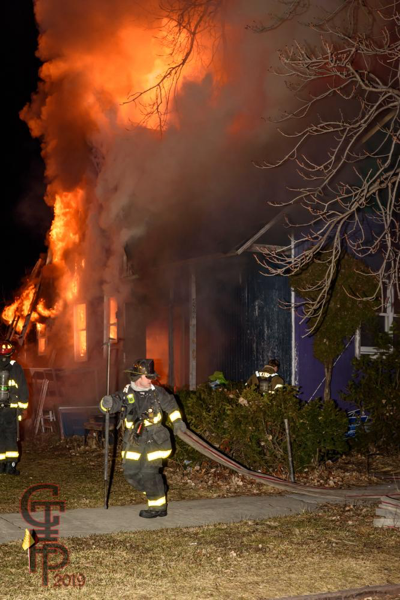 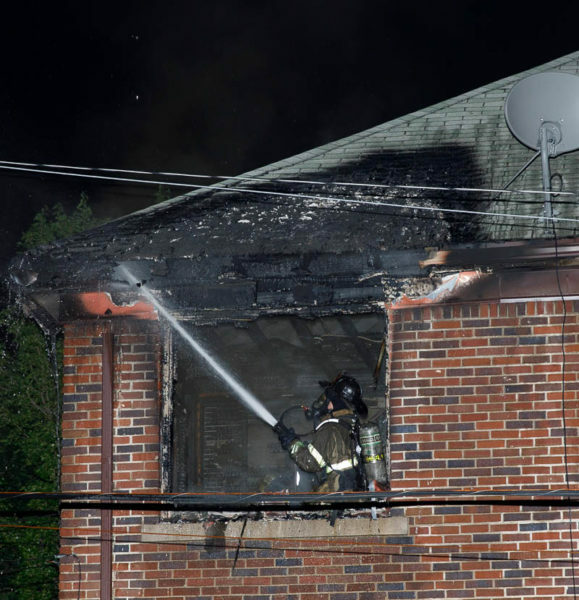 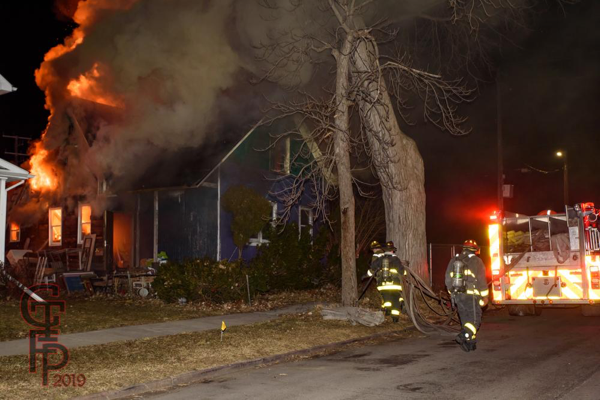 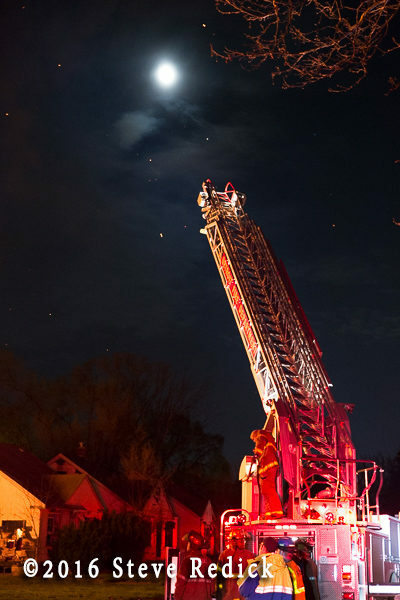 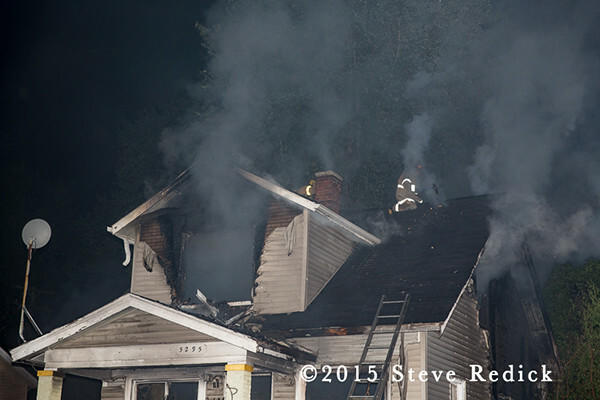 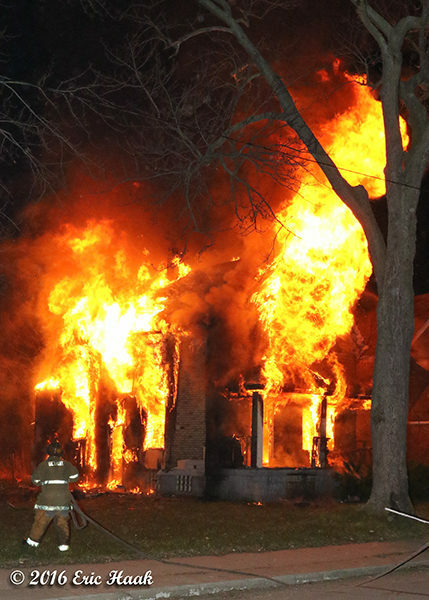 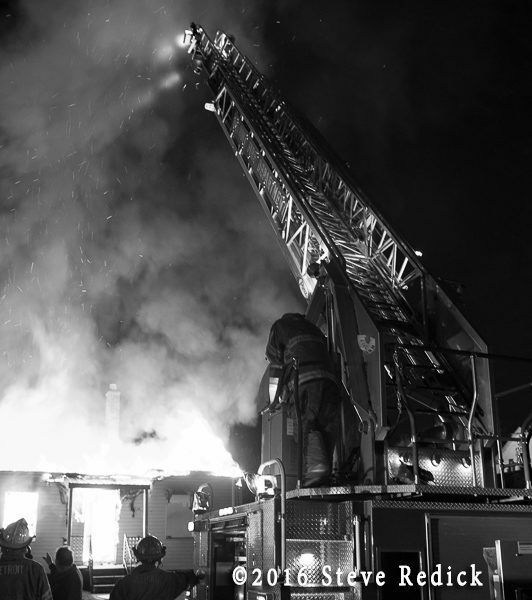 Nighttime shots of a good job at 5281 Florida … fire showing but knocked down by the time we made it down the block.